A US doctor, who gave abortions to minorities, immigrants and poor women in a “house of horrors” clinic, has been charged with eight counts of murder over the deaths of a patient and seven babies who were born alive and then killed with scissors, prosecutors say. Dr Kermit Gosnell, 69, made millions of dollars over 30 years, performing as many illegal, late-term abortions as he could, prosecutors said. State regulators ignored complaints about him and failed to inspect his clinic since 1993, but no charges were warranted against them given time limits and existing law, District Attorney Seth Williams said. Nine of Gosnell’s employees were also charged. Gosnell “induced labour, forced the live birth of viable babies in the sixth, seventh, eighth month of pregnancy and then killed those babies by cutting into the back of the neck with scissors and severing their spinal cord”, Williams said. Patients were subjected to squalid and barbaric conditions at Gosnell’s Women’s Medical Society, where Gosnell performed dozens of abortions a day, prosecutors said. He mostly worked overnight hours after his untrained staff administered drugs to induce labour during the day, they said. Early last year, authorities went to investigate drug-related complaints at the clinic and stumbled on what Williams called a “house of horrors”. 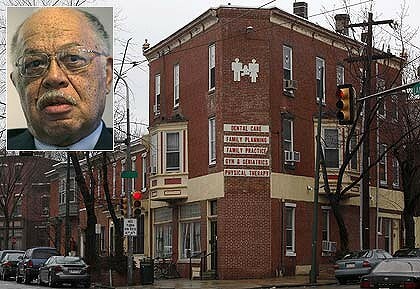 The clinic was shut down and Gosnell’s medical licence was suspended after the raid. Gosnell and four workers were charged with murder, while five others were charged with controlled drug violations and other crimes. None of the employees had any medical training, and one, a high school student, performed intravenous anaesthesia with potentially lethal narcotics, Williams said. All 10 defendants were taken into custody, authorities said. Two listed numbers for Gosnell in Philadelphia have been disconnected. Defence lawyer William J. Brennan, who represented Gosnell during the investigation, noted that the doctor served patients in a low-income city neighbourhood for decades. “Obviously, these allegations are very, very serious,” Brennan said. The grand jury said the woman who died was a patient who came to Gosnell’s clinic for an abortion and died of cardiac arrest because she was given too much Demerol. Gosnell wasn’t at the clinic at the time, but directed his staff to administer the drug to keep the woman, a healthy 41-year-old, sedated until he arrived, prosecutors said. Gosnell has been named in at least 46 malpractice suits, including one over the death of a 22-year-old mother who died of sepsis and a perforated uterus in 2000. Many others also involve perforated uteruses. Gosnell sometimes sewed up the injury without telling women their uteruses had been perforated, prosecutors said. Gosnell charged $325 for first-trimester abortions and $1600 to $3000 for abortions up to 30 weeks. Abortions are legal up to 24 weeks gestation in Pennsylvania, although most doctors won’t perform them after 20 weeks, prosecutors said. Some women came from across the mid-Atlantic for the illegal late-term abortions, authorities said. White women from the suburbs were ushered into a separate, slightly cleaner area because Gosnell believed they were more likely to file complaints, Williams said. “People knew near and far that if you needed a late-term abortion you could go see Dr Gosnell,” Williams said. Few if any of the sedated women knew their babies were born alive and then killed, prosecutors said. Many were first-time mothers who were told they were 24 weeks pregnant, even if they were further along, authorities said. Gosnell got his medical degree from Thomas Jefferson University in Philadelphia and is board certified in family practice. He started, but did not finish, a residency in obstetrics-gynaecologic, authorities said. This entry was posted on Thursday, January 20th, 2011 at 6:41 am	and is filed under ABORTIONS PREGNANCIES, BABY CONDITIONS, body parts, DEATHS MURDERS, LEGAL COURTS POLICE, PEOPLE SPECIALISTS, PHYSICAL TRAUMA INJURY. You can follow any responses to this entry through the RSS 2.0 feed. You can leave a response, or trackback from your own site.